Eviation Aircraft, a global manufacturer of all-electric air mobility solutions, has selected Hartzell Propeller, Inc. as a development partner for Eviation's debut aircraft, the all-electric Alice. With zero-emissions and 100 percent battery-electric solution, the Alice Aircraft will be test flown at the 53rd Paris Air Show in June 2019. Under the terms of the development partnership, Hartzell Propeller will provide customized and optimized propellers and support systems. Founded in Tel Aviv in 2015, Eviation is led by a team of aviation and technology leaders from organizations including Phinergy and the Israel Defense Forces. Eviation's Alice will provide high-energy density battery-powered fleets to regional carriers in the U.S, with a value proposition that can reduce carrier operating expenses sustainably. "Hartzell is an industry icon in aviation for its innovative propeller designs. It is largely responsible for the two precursors to our battery-power engine - the turboprop propeller and the piston-engine, so we welcome them as a valued partner, as together we chart this new era of electric aviation," said Omer Bar-Yohay, CEO of Eviation. With development support from Hartzell Propeller, the Alice will be equipped with an innovative system of new propellers, designed to meet the unique needs of the first-in-kind aircraft. The design and manufacture of the propeller systems underway will utilize Hartzell's 5-blade carbon fiber blades and Bantam hub series to provide the optimal combination of reduced weight and maximum performance. Eviation Aircraft Ltd. is developing and manufacturing efficient electric aircraft in an effort to make electric aviation a fast, competitive and sustainable answer to the on-demand mobility of people and goods. 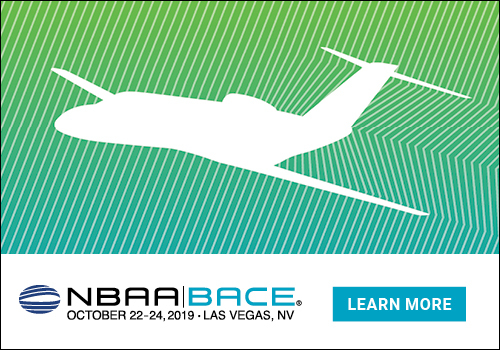 Its distributed propulsion, high-energy density batteries, mission-driven energy management, and new airframe are designed from the ground up to maximize these technological advances for regional flight operators. Eviation is a member of NASA's on-demand mobility program, and serves on the electric aviation committees of the General Aviation Manufacturers' Association (GAMA) and the U.S. Federal Aviation Administration (FAA). Please visit us at www.eviation.co. Beginning its second century, Hartzell Propeller is the global leader in advanced technology aircraft propeller design and manufacturing for business, commercial and government customers. The company designs next generation propellers with innovative "blended airfoil" technology and manufactures them with revolutionary machining centers, robotics and custom resin transfer molding curing stations. Hartzell Propeller and its sister company, Hartzell Engine Technologies LLC, form the general aviation business unit of Tailwind Technologies Inc. For more info on Hartzell Propeller, go to www.hartzellprop.com.